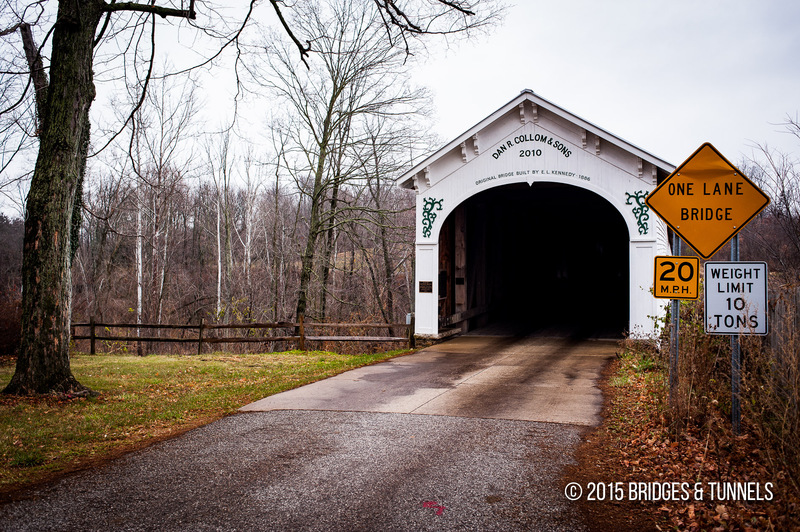 The Moscow Covered Bridge carries CR 900S over the Flatrock River in Moscow, Indiana. 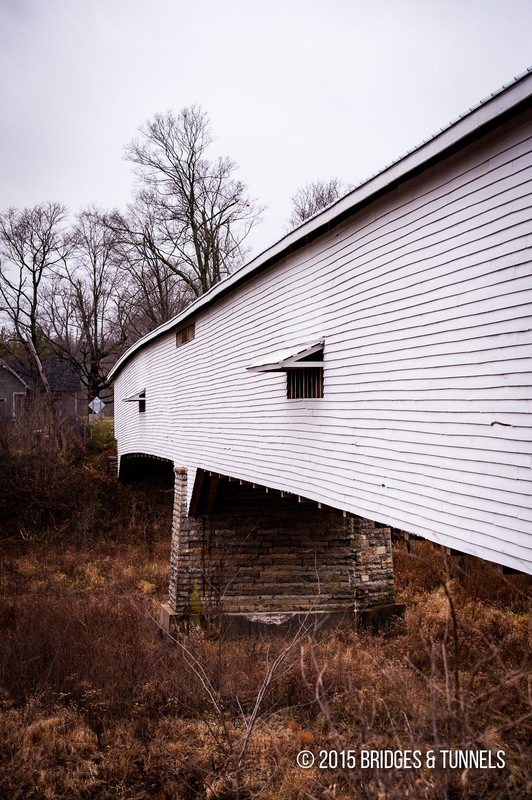 Constructed in 1886 by Emmet L. Kennedy, the two-span Burr Arch truss was added to the National Register of Historic Places in 1983. 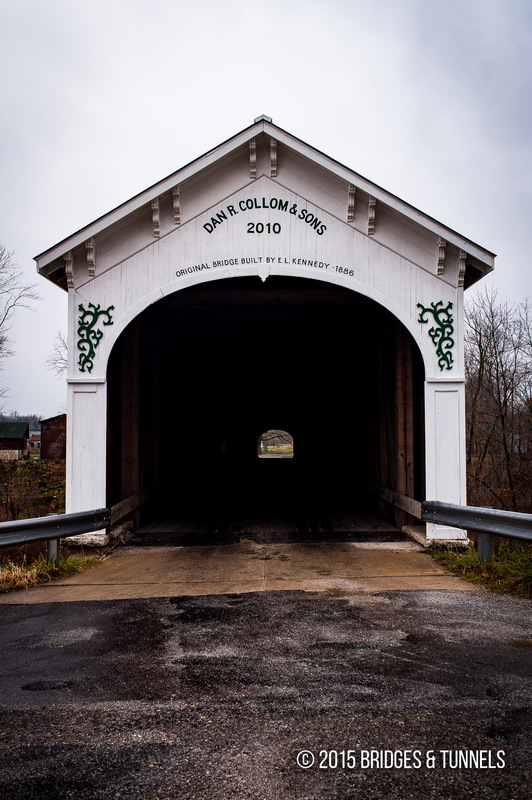 It was the longest covered bridge ever constructed in the county, and the largest Kennedy-built bridge in the state.3 It is notable because weight and other factors prevented the construction of a Burr Arch longer than 155 feet, which would have made the two-span design just 20 feet short. To remedy this, Kennedy engineered a 10-foot Queenpost truss in the middle of each arch. 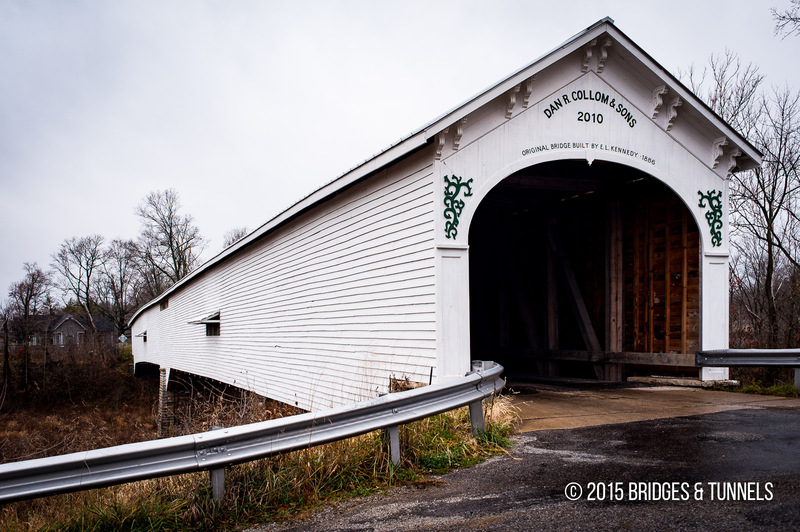 “Moscow is again home to a covered bridge.” Rushville Republican. 28 Sept. 2010: n.p. Web. 31 Jan. 2013. Article. 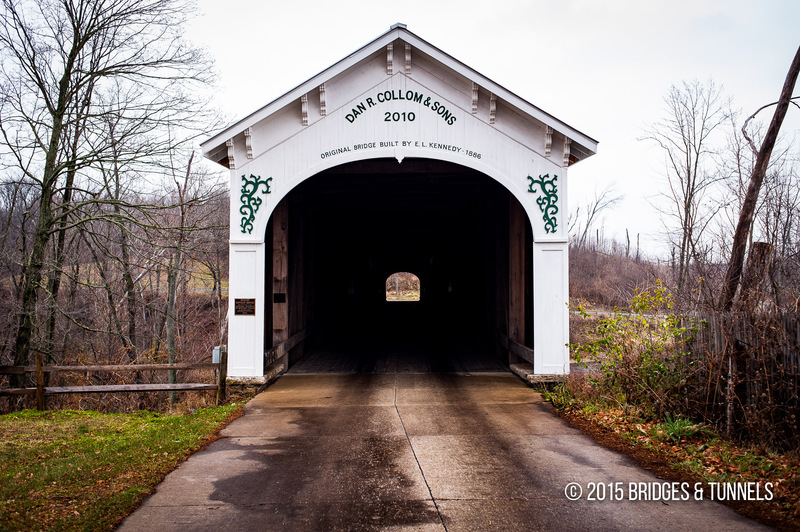 “Moscow Covered Bridge.”Indiana Department of Historic Preservation & Archaeology. N.p., n.d. Web. 31 Jan. 2013. Link.